Welcome to the Fit Small Business Xero training course! 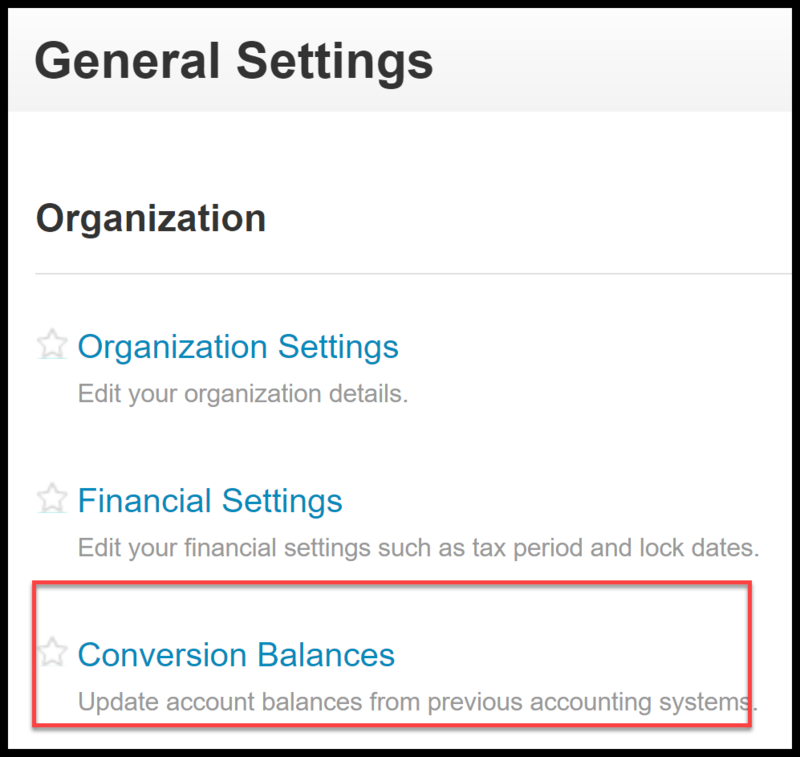 In this lesson, we’re going to cover how to set up account balances in Xero if you are converting from an accounting software program other than QuickBooks. If you are brand new to accounting software then you will only have bank and credit card accounts that need to be set up. You can head over to the How to Set Up Bank Feeds lesson for more info. In this lesson, we’ll explain how to add account balances in full detail, so even a beginner can make sure they’re doing it correctly. As we discussed in the chart of accounts lesson, the accounts are the heart of the system. If the amounts posted to the accounts are not correct, then the financial statements will be inaccurate. Note: If you are not sure how to obtain your account balances, contact your CPA or a Xero expert who can assist you. You can invite users to access your Xero account in just a few minutes. In this lesson, we will discuss the information that you need to have handy so that you can enter account balances for unpaid invoices (accounts receivable), unpaid bills (accounts payable) and any other accounts that have balances in your existing accounting system. Before you can set up account balances, you will need to establish your conversion date and have a few documents handy. We will discuss what the conversion date is first, and then talk about the documents that you need to have available. 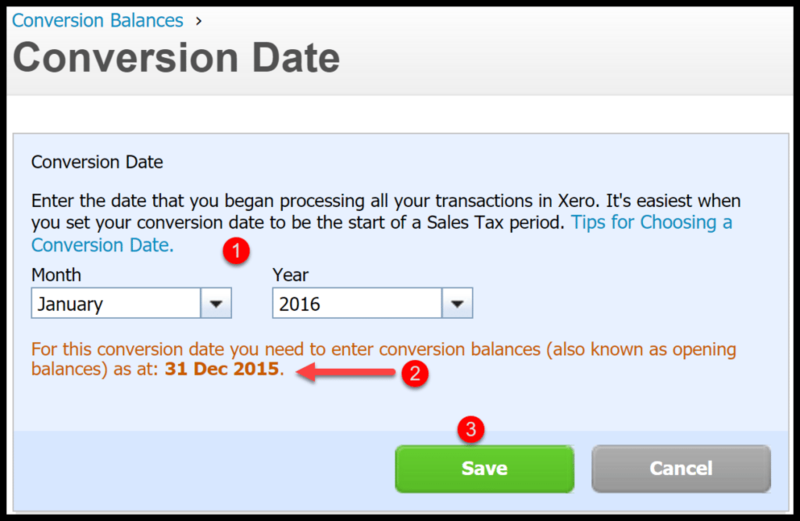 Your conversion date is the day that you will start keeping track of all transactions, such as invoices and bills, in Xero. In Organization and Financial Settings, we provided you with a checklist of documents that you need to have handy to set up Xero. Next, we will discuss 6 documents from that checklist that you will need in order to set up account balances. The Trial Balance report shows the current and YTD balance for each account on your chart of accounts list as of a specific point in time (i.e. Dec 31). Every accounting program should have this report available. Below is a sample of a Trial Balance report for our fictitious company, Acme Web Pros Plus. In order to set up the accounts receivable balance in Xero, you need to have copies of all customer invoices that have not been paid as of your conversion date. Later on, you will enter each invoice into Xero and confirm the invoice total matches your accounts receivable balance as it appears on your trial balance report. To establish the correct accounts payable balance in Xero, you need to have copies of all unpaid bills as of your conversion date. Later in this lesson, you will enter each bill into Xero and confirm that the total of all bills entered matches your accounts payable balance as it appears on your trial balance report. In order for you to properly reconcile your bank and credit card accounts, you will need to enter the balance of all bank accounts and credit card accounts as of your conversion date. This information will come directly from the monthly statement that you receive from your bank or credit card company. Be sure to use the statement that is closest to your conversion date. We will not enter any bank/credit card transactions in this lesson. However, be sure to check out the How to Set Up Bank Feeds lesson to learn how to import these transactions into Xero. Note: Most bank and credit card statements will have a beginning and an ending balance. The balance that you should enter depends on the date of the bank statement. Use the following guide to help you determine which balance to use. Ending Balance on the bank/credit card statement as the account balance in Xero. 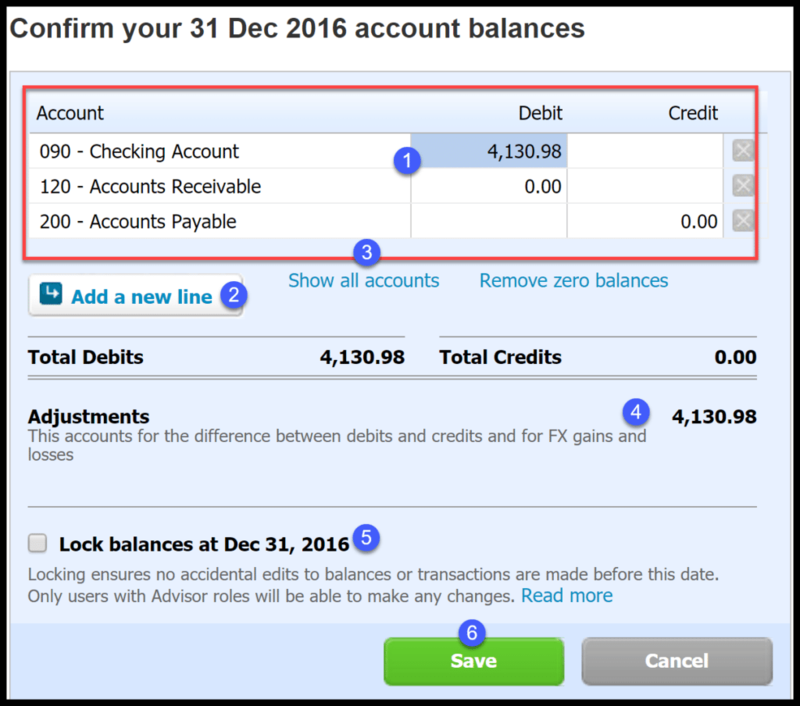 Beginning Balance on the bank/credit card statement as the account balance in Xero. Example: Let’s assume that Acme Web Pros Plus has chosen January 2017 as their conversion date. Acme will enter balances from their December 31, 2016 bank and credit card statements. Since the statement date (December 31) is prior to the conversion date (January 2017), Acme will use the ending balance that appears on their December bank and credit card statements. If you have products that you track quantity and cost for (tracked inventory) then you will need to set up the existing quantity and cost as of your conversion date. Before you can set up these balances, you must set up the products in Xero first. Once you have done that, you are ready to enter opening balances for tracked inventory items. Follow these step by step instructions to properly set up inventory balances. If you track sales tax in your current system using more than one account, you will have to add up the total of all sales tax accounts and enter that one number into Xero. Xero only uses one account to track sales tax. In the How to Set up Sales Tax lesson, we cover how to set up, track and pay sales tax. Follow these steps to enter your account balances into Xero. From General Settings, select Conversion Balances as indicated in the screenshot below. Click on the Conversion Date button as indicated in the screenshot below. In the following screen, you will select the month and year of your conversion date. After you complete step 1, the date that appears here will be the date that you need to run your Trial Balance report (in your old system) so that you can enter the balances in the next step. Within this screen, you will enter the account balances for all accounts that you currently have a balance for in your existing accounting system. See a brief explanation below. Enter balances – The default accounts that are shown here are checking account, accounts receivable and accounts payable. You can click directly in the debit or credit column to enter each account balance. When you enter a balance in accounts receivable and accounts payable, Xero will take you to another screen to enter each invoice or bill. Add a new account – If you have a new account that you need to enter a balance for, you can add the account here, and then enter the balance. In the How to Set Up a Chart of Accounts lesson, we discuss in detail how to add, edit and delete accounts. Show all accounts – If you need to enter balances for other accounts on your chart of accounts list, just select this option and all of the accounts that you set up in Xero will be listed here. Adjustments – This field will show the difference between debits and credits. Since debits and credits should be equal once you are done, this amount should be zero. If it is not, check out tips for entering account balances. Lock balances – Once you have entered all of your account balances, we recommend that you lock the balances as soon as possible so that no further changes can be made. This will help to ensure that your financial statements are accurate. Note: If you are not able to enter all of your account balances at once, you can come back at anytime to enter them. However, we recommend that you complete this before you start entering transactions into Xero. Save – Click the “Save” button to save the balances that you have entered. That wraps up the section on how to set up account balances. The next lesson in our Xero Training Course will be how to invite users. In this lesson, we will walk you through how to give your bookkeeper or tax professional access to your Xero account. To access this lesson or any of the others in the series, click here. For a free 30-day trial of Xero, click the button below. How can you manually enter the individual balances of Suppliers and Customers in Xero? If you just want to enter total outstanding balances and not each bill then you can still use this Excel spreadsheet method to do so. Thanks so much for watching our video tutorials!